Sell your MAGMA items on eBay ! I remember my first time with this album was when a friend lent me a tape (with no track listing) of it. I had never heard of it, but I was curious, as I never knew Magma released anything after ATTAHK at the time. My first thought: "Is there a Kobaïan word/phrase that sounds like 'Oh Baby'?" The R&B touches that first surfaced on ATTAHK start to take over here. It sounds like they were trying to make a Prince album, but sort of got cold feet at the last second, and sang most of the tunes in Kobaïan. The result is indescribably weird! Not necessarily in a good way, though. I really can't think where Vander's head was at when he instigated this album. If he thought it would be a more "commercial" venture then he failed. Pop fans would definitely be put off by the dark tone and weird singing on this album. The more conventional musical constructs and very 80's touches like drum-machines are bound to turn off Magma's hard-core fan-base. Really, the only ones I can recommend this to are hard-line completists and the perversely curious. As it is, indeed, pretty perverse! A definite oddity. This album is very interesting, we have songs sung in English, French and their native Kobaiian language. A friend of mine once said he'd pay to hear Magma from the 80's, as we were only familiar with the 70's material, of which 'De Futura' was an obsession !! Getting back to this album - it's surprising that the music is not harsh and relentless as usual, we have some funky tracks (I Must Return, Do the Music), and more meditative tracks - like the 11+ min 'Eliphas Levi', which is the most beautiful Zeuhl piece EVER !! It was composed by Rene Garber (who made sporadic appearances with the band in the early days), although he doesn't appear on the album itself. The musician list is long with some familiar (and more unfamiliar) names. 'Eliphas Levi' is full of magical flute playing and other wistful soundings, delicate piano play from Vander himself and I can't stress how wonderful this track is - worth the price of admission alone. ' Otis' is also very pretty. Call From the Dark (ooh ooh Baby) - this is Magma ?? (please ditch the sub-title) - is a funky, up-beat, almost Euro-Disco number which features some powerful vocals from Stella Vander sung in English, with some blowing brass arrangements - most people may say this track is a mess, especially in terms of Magma, but the track sits fine with me, uncharacteristic for sure, but a cool, 'cruisey' song. Disappointing that Vander was not behind the kit, mostly insipid 'Linn drum' programs, but Francois Laizeau's drumming on 'Do the Music' is very Vander-like. A great, diverse album which can be enjoyed immensely, but it's not to be compared to Kohntarkosz, 1001 Degrees Centigrades etc. The best Magma album, if you like funky disco-pop and hate the subtlety of their earlier releases. Not much of the sane Kobaïan line-up remains on Merci (just the Vanders and Mr. Gauthier if I'm reading this correctly) and perhaps this is why this album spirals out of control into dreck - if only a Top or a Blasquiz or a Widemann had been there to dissuade him from this voyage into Kobasploïtation. Side one has a lot of a funky danceable songs to its dubious credit, and it has to be said that they're very well made (allowing that you can forgive the drum machine) and poppy - they could probably chart if they were sung in a language originating on Earth. If you couldn't stand "Spiritual" from the previous album, then turn away now. In fact, most of side two is equally goofy. The lone relevant song here is "Elephas Levi", which is a hauntingly symphonic bed of peace written by former member Rene Garber (for more gentle symphonic music made by Magma alumnae, investigate Laurent Thibault's "Mais on ne Peut pas Rêver Tout les Temps) with very slight zeuhl undertones thanks to the electric piano repeating small figures and the beauty of the role the choir plays here. Apologies for being harsh when other reviewers seem to have derived more from "Merci" than me, but Garber's composition should be the deciding factor on whether you purchase this accursed disc, because everything else contained on it makes the angel of light weep. There's a lot to say about this one and yet, not much at all. Perhaps one of the most hated albums of all time by fans and anyone who has ever heard it, Merci is infamous French-mutant-jazzers Magma's attempt to pioneer a more viable ground for the subgenre of music, Zeuhl, that they had founded in the 70s. This would be an impossible task in hindsight, being that any Zeuhl will, and always has been, a very, very, very acquired taste - a subgenre where the majority of the sane population (proggers, of course, exempt) will laugh at hearing the best of the best of the albums to come from this scene if they don't understand the purpose of it. All things aside, Merci is like the lovechild of Magma and Abba when the two of them were piss drunk at a rave one night and decided to get at it without protection. Of course, Abba did a lot of drugs during the pregnancy. When the baby was finally born in 1984 it was this - the bloody mash-up of Zeuhl and disco which vomits all over itself whimpering, ''please kill me?''. Right off the bat from the faux-oriental strings of Call From The Dark (Ooh Ooh Baby) (yes - a band who sings in a made up language from another planet called the opening track Ooh Ooh Baby) the band trips over its own horn section and attempts to get on its way. Now we all have to admit something before we continue - as disgusting as it is - this album can be terribly catchy. Somehow, in some way, listening to Vander sing soft sections meant to seduce some kind of deaf woman on Otis or the Meatloaf-esque sections of I Must Return are actually rather amusing, and may actually prompt you to listen to the album a couple more times before your make your final judgment on it - hating yourself and crying a silent tear the entire way, of course. Musically, compositionally, this is nothing like the Magma of yore, which is probably the only reason why they have fans in the first place. People seem to like that tense atmosphere and the whimsy of the chanting sections, or the tight-as-hell playing on the previous records that makes one wonder how a band were ever capable of playing so well. Merci is not like it - it's the bubble-gum pop of the progressive world, right up there with Big Generator and Love Beach - worse, perhaps. The sole song worth saving on here, as others have mentioned, also happens to be the longest piece. Unfortunately, it still pales in comparison to the majority of Magma's library, being that is ranges somewhere between Disney soundtrack and Jon & Vangelis. Still, Eliphas Levi is worth listening to at least once or twice for the hardened Magma fan, since its atmosphere is actually somehow as tense as it was on MDK - but still, it's no crowning achievement. Overall, a good album if you're into very strange disco ? for everyone else, this is an avoid. However, since it comes with the newly released Studio Zund, I still recommend that fans take a listen to better appreciate Magma's classic works, and maybe get a cheap laugh. 1 star out of 5 - for Fans only, and don't buy it unless it's coming with the rest of the box set - seriously. Magma's Merci is their well known career dip. At least it is when you would be expecting one of those mind-expanding Zeuhl experiences. For some reason Vander and Stella gave up their longstanding Kobaian chants and instead of sounding as far from pop as they used to, they turned completely disco/soul/funk on us! 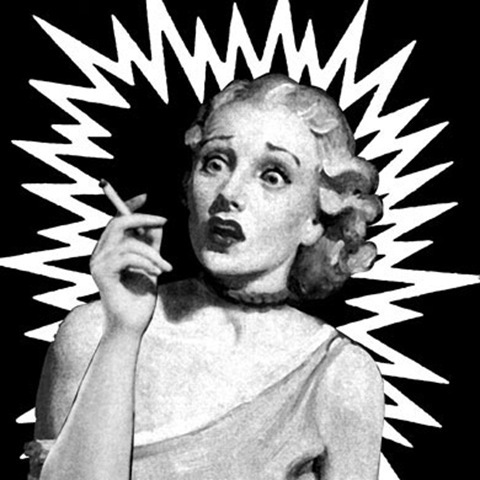 The shock experience starts with Call From The Dark. A track sung in English, with disco drum machines instead of real-live drums and poppy soul songwriting. And guess what? It is an excellent track. The musical expertise of this Magma line-up proves to be still strong enough to pull this kind of groovy pop off. Especially the vocals are great, if you like powerful female soul vocals of course. Otis is more relaxed R'n'B, sung in French. A couple of harmonies and some vocal weirdness still reminds us this might be Magma indeed, the music won't. This one isn't my cup of tea as much as the opener but it's a good poppy soul track, not blatantly commercial or too cheesy. Do The Music is a strange hybrid of shameless 70's disco and Magma's funk-inspired traits as known from Attahk. I can't say the marriage works really well. 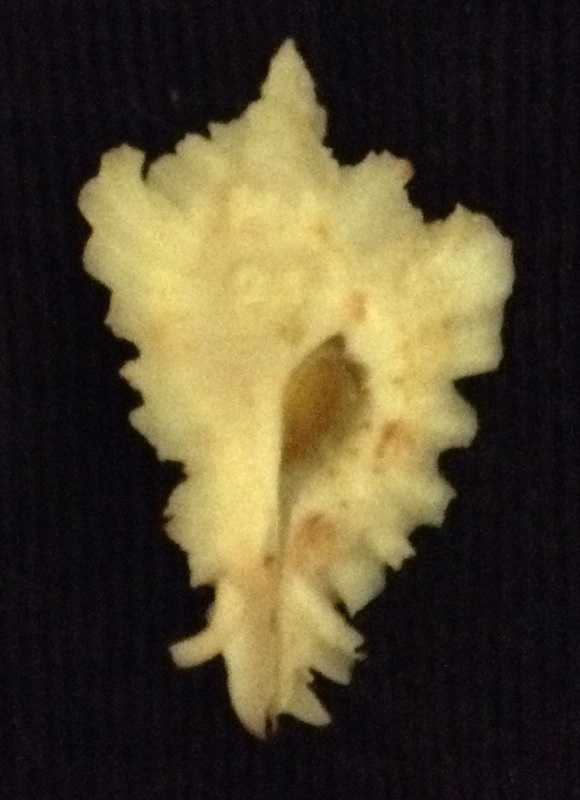 Also the gospel/soul of I must Return leaves me untouched. Eliphas Levi is a more experimental track with a pulsating atmospheric drone created by soft bass and piano playing. Harmonic minimalist vocals are added. I'd say most Philip Glass fans and 'normal' Magma fans might like this track. One shouldn't expect to find 70s disco-funk when is expecting Zeuhl. "Ooh Babe" is a something that worked well within "The Wall", that's full of "oohbabes" and has some disco- like moments, but it doesn't work the same when you are expecting a communication from outer space in kobaian. But let's listen to it without thinking that they are the Magma. Is it still so bad? Yes it is. The first part of Ooh Babe is not so poor as somebody says, but Earth Wind and Fire are better if you are looking for this kind of music. The start of "Otis" is more promising but just for about 10 seconds. When the electric piano starts we have something that could be the soundrack of a TV serial like Starski and Hutch but filmed in Paris. "Do the Music" has at least 30 seconds of Magma, but also this song is not enough. Without the 4/4 chorus it would have been better. 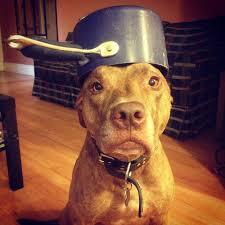 However it's quite acceptable. "Otis (ending)" is a filler but it's probably the best moment of the album as it contains no disco and no funky. An organ chord with singing. Less than two minutes of fun. "I must return" ---- Please no. At least not in this way.... sometimes Vander seems to remember who he is and what music he is able to create, but they are just flashes. Hey, where is Phil Collins ? 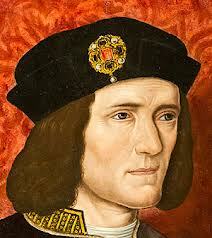 This could be one of his 80s hits. Then it comes the reason why I wouldn't rate this album 1 star only: An 11 minutes song from Magma. Not at their best also here, but this is closer to that kind of music that one can expect is coming from a distant planet. "Eliphas Levi" is not destined to remain in the history, but it's absolutely not bad. It partially saves the album. The repetitions here are hypnotic and not boring. "The Night We Died" is nothing more than a slow melodic song that closes the album. If you are new with Magma this album is misleading. This is NOT their music. Six tales about death...an apt summary for this work. When you open the CD case for this one you are greeted with some wonderful artwork and a nice little three lined "poem" about death. Underneath is the line Six Tales About Death. This filled with me with positive feelings. Everything surrounding the disc had been wonderful. (Even the simple cover art is somehow soothing, in a strange way. Of course, I knew the story of Merci and its massive downturn in quality for Magma, and in terms of the music in general. However, being a completionists I felt compelled to own this album.) And then the music started, and everything changed. However! Not everything on this album is a train wreck. 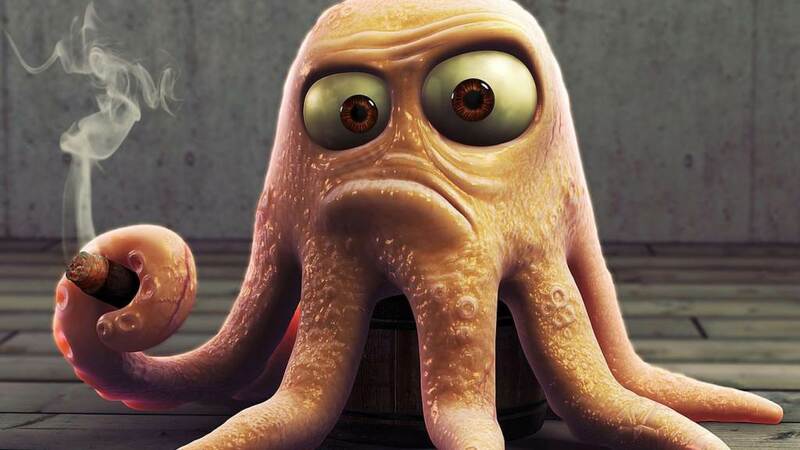 Otis (both parts) is fairly enjoyable. A nice bassline (although nothing really Zeuhlish about it), and a strong Vander vocal performance punctuate a tune that could actually have your toes a-tappin' and head a-bobbin'. The Night We Died is quite a strong tune, ending the album in a fairly melancholic way, with an excellent vocal trio. But, the main attraction here is the absolutely wonderful Elephas Levi. A sprawling song that is as close to old Magma as this album can get, with wonderful minimalism influence. A bed of percussive sounds flows underneath vocals, and piano, that have nothing in common with banal influences of the beginning songs. Atmospheric, floating, haunting ...excellent. Unfortunately, that's truly the only reason someone would need to own this album. All in all, this is one hell of a misstep in the Magma discog. Really, it is quite confusing. This really suffers without Vander's drumming, and with the English lyrics. I can understand them wanting to bring in other influences and do something different, but why replace the best part of Magma (aside from the very strong songwriting [which really isn't here either]) with drums that don't even sound like they are trying to be drums? And when you want to have actual drums, why bring in another drummer? And at least put in the effort to write in a language that you made up! But, this issues aside, there are a few good (read: enjoyable) moments, and one excellent moment. For this, I'll rate Merci two stars. For fans of Magma, and nothing more. Please, start elsewhere in the Magma discography. Almost all bands have somewhat of a misstep along the way. Some are large, some are small, and some are flat out confusing. Some still make you burst out in laughter, wondering what in the world the band was thinking. Merci starts off seeming entirely like the last (with a bit of the flat-out confusion), because of the infamous first track, "Call From the Dark (Ooh Ooh Baby)". The track...defies all logic. Here we have a band known for their great brand of music, with heavy, chugging bass, explosive drumming, and vocals sung in a language of the band's own origin. What do we get on this track? To start, a drum machine instead of Vander, no bass to be impressed with at all, and lyrics sung in English. Where's the Magma we all know and (some of us, at least) love? I'm not sure, but they've been replaced for this track with a funny disco/pop/whatever you'd call it. Play this track if you'd like to trick someone into liking Magma, or if you're in the mood for a good laugh. The rest of the album, however, is a step up from this track. The bass, when present, is fun and tasteful, albeit not anything like the Zeuhl bass of past days. We get some of Vander's most inspired vocals on the great "Otis," along with some good bass, well-constructed music in general on this track. Most of the album is definitely down the funky/soul road that we start to see on tracks on Attahk. For me, at least, it's not a bad thing, as I've liked funk and some soul longer than I've known anything about Magma or prog in general. As others have mentioned, the sole track on the album which could be considered close to the Zeuhl standard is "Elephas Levi." While it's a great track, I find myself enjoying "Otis" and "Do the Music" most from the album. Everything on the album is interesting for one reason or another - whether it's the unintentional humor of the opener or the funky feel of much of the rest of the album, or even the Zeuhl feeling provided by "Elephas Levi," I find something to enjoy in just about all of the album. However, being realistic I can't recommend it to any Zeuhl fan, unless they're also a fan of funk and soul. My rating for PA is lower than my personal rating - here, it gets a 2, I'd give it a 3 or 3.5 on a general music website. It's kind of sad I don't appreciate this album. There are many an occasion I find the oddball albums being very pleasant but that isn't the case with Merci. The overall feel of the album is messy and confused. I can appreciate what I think is the main idea behind the album, making music quite accessible and thus reaching a wider audience. 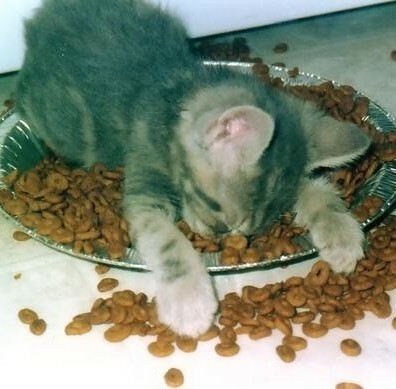 However, I do not appreciate the end result. It's not all bad, that's hardly the case with musical brilliance, as evident on basically all other albums. Theres sparks on here, sparks that glisten but after a spin you find yourself unimpressed and unattentive. Merci do not have the power to hook you and keep you locked in the experience until it's over. Merci is kind of Magma goes Asia. It really mustn't be a bad thing but it's certainly not a good one. Wow! Is this MAGMA or Earth, Wind & Fire? Christian Vander, are you there somewhere?!! Did the Kobaians beam you all back up to your planet? Or did they implant those dreaded disco soul chips in you again. 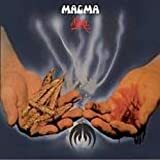 What can we think of the most hated album in the MAGMA discography. After the excellent run of originality and channeling of otherworldly forces that lasted from their debut in 1970 to "Üdü Wüdü' in 1976, it seems even advanced technology could not help the Kobaians hold back the backlash that dethroned progressive leaning music of the early 70s. While some bands like King Crimson were wise enough to call it a day before the great shift, others who stuck around found themselves watering down their output album by album, whittling away their loyal fan bases and becoming shallow caricatures of their innovative glory years. Even the Kobains succumbed to these pressures as heard on the watered down "Attahk" in 1978, add to that the financial pressures of operating such a huge number of musicians on board with an ever chaining cast of members and it's really not hard to imagine the temptation to dummy down the innovations and go for the gold in the highly profitable pop music world of the 80s. Perhaps a good idea at the time but considering this is a whole different band of musicians on board (at least 25! 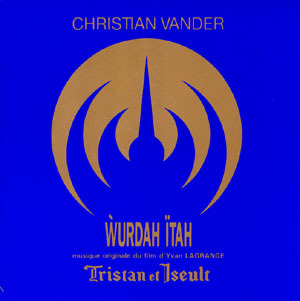 ), Vander could have had the decency to at least release this under a different moniker that wouldn't tarnish the image of one of the 70s' most unique forces in the prog world. 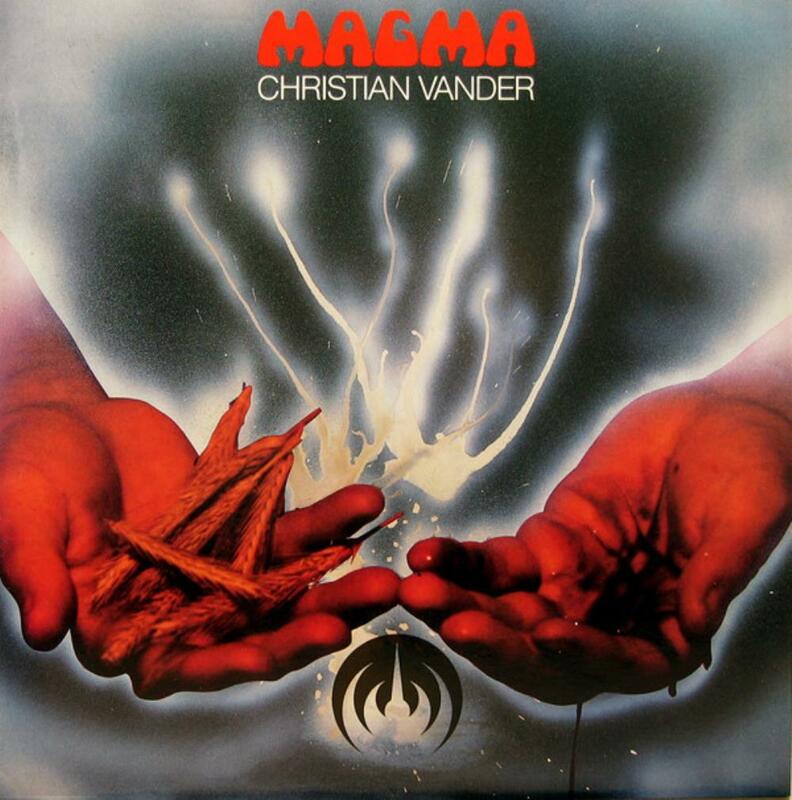 After six years of inactivity the album was a hodgepodge of tracks recorded throughout the early 80s and at this point Vander was bored with the whole MAGMA thing anyway and after the release of MERCI would suspend activities with the band and focus on his jazz-fusion oriented Offering albums. "Call From The Dark" begins the album and after a few tinkles of some strings and immediately begins what sounds like something you would hear on a disco soul album around 1979 leaving a first time listener accustomed to all the zeuhlisciousness of previous MAGMA offerings totally bewildered and just a few notes away from pumping out "Boogie Wonderland." While the music itself is perfectly decent for that type of sound, complete with beautiful vocals, a horn section to die for and a nice booty shakin' rhythmic section, it's like whoa!!! Is this MAGMA? WTF? The second track "Otis" is less danceable and at least has a faint trace of the vocal trade offs of Vander and female vocalists from the past, but this song is particularly weak although perhaps acceptable for aging Kobaians in nursing homes or doctor's offices. Vander's screams in the middle sound like a mating cat and totally out of step with this mellow repetitive soul music. "Do The Music" is a rather strange little track as it sounds like zeuhl is battling it out with disco leaving the listener with no clear winner but admittedly a unique experiment that does make me think of going to the disco on Kobaia! I mean, they need to get a little light now and again too! "Otis (ending)" is a gospel sounding organ track with Vander screeching. Hmmm. No comment. The one long track on here "Eliphas Levi" is the anomaly. It actually feels more like the zeuhl music we were expecting albeit more serene, pacified and stripped down in both instrumentation and feel. It does however have those ratcheting vocal deliveries that build in repetition accompanied by piano and percussion. This one is actually pretty enjoyable although very much on simmer as opposed to the full intense pyroclastic flow MAGMA usually delivers as the track drags on for over eleven minutes and feels like it never gets up to expected speed. The vocals are quite pleasant though and this is probably the best track on board and has a pleasant complex interchange at the end. 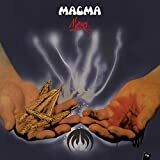 Post a review of MAGMA "Merci"